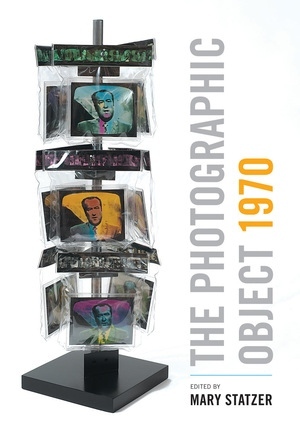 In 1970 photography curator Peter C. Bunnell organized an exhibition called Photography into Sculpture for the Museum of Modern Art, New York. The project, which brought together twenty-three photographers and artists from the United States and Canada, was among the first exhibitions to recognize work that blurred the boundaries between photography and other mediums. At once an exhibition catalogue after the fact, an oral history, and a critical reading of exhibitions and experimental photography during the 1960s and 1970s, The Photographic Object 1970 proposes precedents for contemporary artists who continue to challenge traditional practices and categories. Mary Statzer has gathered a range of diverse materials, including contributions from Bunnell, Eva Respini and Drew Sawyer, Erin O’Toole, Lucy Soutter, and Rebecca Morse as well as interviews with Ellen Brooks, Michael de Courcy, Richard Jackson, Jerry McMillan, and other of the exhibition’s surviving artists. Featuring seventy-nine illustrations, most of them in color, this volume is an essential resource on a groundbreaking exhibition. Mary Statzer is an independent curator, scholar, and educator whose work focuses on the history of photography from 1960 to the present. She has worked with curatorial departments at the Phoenix Art Museum and Center for Creative Photography in Tucson. She lives in Tempe, Arizona.